The world is not going to change overnight, nor in my lifetime, nor in my grandchildren’s lifetime. But it will change, if we change, not for a day or a year, but for a lifetime. Yes, it will change, if we change. presented hundreds of lectures throughout the United States and abroad. In 2000, he received the William Quarles Holliday Medal, the highest honor North Carolina State University can bestow on one of its faculty. Upon his retirement, the NCSU Library established the Tom Regan Animal Rights Archive, the first such archive in the world. Among his books, two—The Case for Animal Rights (1983) and Bloomsbury’s Prophet: G. E. Moore and The Development of his Moral Philosophy (1986)—were forwarded by their publisher for a Pulitzer Prize and a National Book Award. “(b)y far the best work on the subject, and will continue to be the definitive work for years to come” wrote a third. Already translated into several languages, The Case for Animal Rights was issued in a Chinese edition in 2010. Other Nations: Animals in Modern Literature (with Andrew Linzey) (2010). 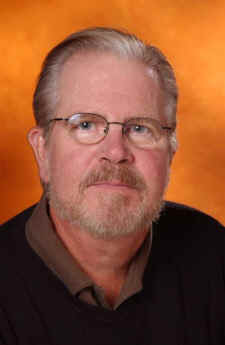 Tom Regan’s major film awards include the Silver Medal for We Are All Noah (International Film Festival of New York, 1986) and the Gold Medal for Voices I Have Heard (Houston International Film Festival, 1988). He is married to the former Nancy Tirk, with whom he co-founded The Culture & Animals Foundation (www.cultureandanimals.org). Their son, Bryan, is a commercial photographer in Raleigh, and their daughter, Karen, is Associate Vice Chancellor for Research at the University of North Carolina, Chapel Hill. Tom and Nancy are the doting grandparents of Hannah, Brooke, Anna Drew and Miles. Tom: That’s a complicated question. However, before I give my answer here, permit me to say how honored I am to be interviewed by EVEN. I’ve looked over the list of previous interviewees - such an impressive group of committed people! Like I’ve said, I am honored to join them, especially Karen Davis, the founder and head of United Poultry Concerns. We’ve had our differences over the years, but today, whenever I’m asked what I think about a complicated public policy question, from ag-gag to “enriched” battery cages, I won’t answer until I find out what Karen thinks. She is my bellwether in the political storms that Animal Rights Advocates (ARAs) have to face. So, how did veganism become part of my life? I was born and spent my early years in Pittsburgh, Pennsylvania. My upbringing was working class. (I am all blue collar; there’s no blue blood in me). The same was true of my mother and father. In fact, they both quit school when they were fourteen; their respective families needing them to earn money instead of learn ideas. As a boy, I enjoyed fishing, especially when it involved my whole family (I had an older sister, Catherine). None of us hunted, though I wanted to. EVEN: What did you eat growing up? Tom: Did I mention that my mother was an excellent cook, of the meat-and-potatoes variety? Her mother had died when my mother was quite young, so she did not have an older role model she could follow; she pretty much had to teach herself from scratch. Anything she cooked, I ate. And, truth to tell, she cooked plenty of meat dishes, which I enjoyed. EVEN: Can you tell us about your college years? Tom: I don’t think I would have gone to college if my family hadn’t moved from industrial Pittsburgh to the suburbs when I was entering the eleventh grade. The move put me in contact with my friends’ parents, many of whom had professional careers, from lawyers to school teachers. It was just a given for these families that their children would go to college. So, that’s what I did, not because I was thirsty for knowledge; no, I went because that’s where my friends were going. I attended Thiel College, a small liberal arts school in western Pennsylvania. Remarkably, during the summers while at Thiel, I worked in a butcher shop. As I have written about this chapter of my life, “their cold flesh conformed to my cruel will.” What I mean is, the carcasses of the dead animals I cut into might as well have been blocks of wood. I had no compassion, no sympathy for them. During my senior year, I interviewed for several jobs but could not find anything that appealed to me. I was the first philosophy major in Thiel’s history. My principal professor, Robert Bryan, took his Ph.D. from the University of Virginia. I remember sitting down with him to explore my future. He took a special interest in me and wrote to his alma mater supporting my acceptance to the graduate program at UVA. I was accepted “provisionally,” meaning that the department would evaluate my candidacy on a semester-to-semester basis. Eventually, I took both a M.A. and a Ph.D. from UVA. As fate would have it, my second teaching job was at North Carolina State University, where I was hired in 1967, and where I taught for the next thirty-four years. A fellow named Robert Bryan was head of NCSU’s philosophy department. As they say, it’s a small world. So, that pretty much summarizes my autobiography up to my late 20s and early 30s. As anyone will see, there is no indication of what the next forty-or-so years would bring. … Which is why I have said, and I’ve said it many times: if Tom Regan can become an ARA, anyone can become an ARA. EVEN: How did your direction change at that point? Tom: My path began to change for a reason that had nothing directly to do with animals. The United States was at war in Vietnam, and my wife, Nancy, and I (we were married in 1961) were part of the growing numbers of Americans who opposed the war. I thought I could use my training to make a philosophical contribution to the anti-war movement. I remember, as well as if it happened yesterday, being in the war section of the NCSU library and taking down a book by an author whose name I recognized but whose work I had never read. The title of the book was An Autobiography: The Story of my Experiments with Truth. The author’s name? Mohandas Karamchand Gandhi. The Mahatma himself. What a fateful choice! There is no question in my mind: reading Gandhi’s autobiography changed my life. Put another way, if I had not read this book, Tom Regan would not have become an ARA. Why not? Because I would not have been challenged in the way that Gandhi challenged me. Tom: Well, it was pretty direct. There I was, marching in the streets, calling upon my government to end the unjustified violence in Vietnam; and there I was, with dead body parts (aka “meat”) in my freezer, the victims of another form of violence. Talk about being hypocritical! Not that I didn’t put up a fight. I hemmed, and I hawed. Then I hawed and I hemmed. In other words, I wasn’t convinced on the spot. But the more I thought about it, the more I understood the contradiction of my being opposed to unjustified violence in the Vietnam war on the one hand and, on the other, supporting the unjustified violence in the undeclared war being waged against the animals, whose dead body parts were in my freezer. And as for Nancy, she was beside me, or a step ahead, when Gandhi’s book changed our lives. (I might add, parenthetically, that the first substantive philosophical essay I wrote, beginning in 1972 and published in 1975, was titled “The Moral Basis of Vegetarianism.” So, I’ve been writing on animal rights for almost forty years). During that time Nancy and I worked at fine-tuning our commitment to the anti-war movement, so to speak. We gave up cosmetics that had been tested on animals. We gave up fur and wool and silk. We gave up milk and eggs and cheese. From lacto-ovo vegetarians, we evolved into vegans, always according to the same Gandhian standard: Live your life in ways that do not support wars, whosoever are the victims. EVEN: What contribution are you most proud of? In any event, Nancy and I have been busy trying to enlist more people in the cause, in the same spirit as Gandhi. TOM: Number 1: Make vegan friends! It’s a tough row to hoe doing it alone. Number 2: Never give other people another reason to ignore other animals. That’s what we do when we come across as being so much better than the next guy or gal. Remember our own journey and how long it took for us to see the light. Why expect other people to change more quickly than we did? TOM: It’s a minority way to live one’s life. The culture isn’t set up to embrace what we think and feel. Any doubt about that, just watch the ads on TV. They tell you where the dominant culture’s values are - and they’re not vegan! TOM: That it’s full of risks, from a personal health point of view, when in fact it can be the healthiest dietary option we can live by. Mind you, I’ve known medically-challenged vegans. You know the type --- they think a steady diet of vegan junk food is what the doctor ordered. I mean, you can get sick partaking of any diet, including a vegan diet. When I say a vegan diet can be “the healthiest dietary option we can live by,” I mean an informed vegan diet. EVEN: What one thing from your thinking in childhood do you wish you could change? TOM: That I was so blind to the animals around me. That I didn’t see them for what they were. The fish I caught, the lives I ended - I truly wish I hadn’t done that. TOM: I would say (I have said) veganism in particular, animal rights in general, are not for the faint of heart. The world is not going to change overnight, nor in my lifetime, nor in my grandchildren’s lifetime. But it will change, if we change, not for a day or a year, but for a lifetime. Yes, it will change, if we change. Tom: I’m not bad in the kitchen, in case you want to know. Nancy, she’s the gourmet chef in the Regan household. Myself, I’m what I call a “skillet cook.” Give me anything, I’ll cook it in a skillet! Nancy is fond of saying, “Have you heard of Tom’s cook book: Cooking with One Ingredient: Soy Sauce!”? Well, that’s not true! All I’ll say is that I’m known for my TRB. What’s a TRB? It’s a Tom Regan Breakfast. If you stop by our house, I’ll make you one. TOM: Nothing beyond what I’ve already said . . . except to add, at the end, what I said at the beginning - thank you for the honor of including me in your series of interviews. Tom: It affirms what is best for us, what is best for the animals, and what is best for the environment. Everywhere you look, you find veganism entwined with what is best. That’s a pretty awesome twosome.